Kenneth Snoots won a $1 million progressive jackpot at a Mississippi Stud table at Bally's Las Vegas. In the blink of an eye, millionaires are created at traditional casino more often than you realize. As examples, a while ago we reported on the progressive jackpots that were won in the Nevada casinos, Paris Las Vegas and O'Sheas Casino in the Linq Complex. Today we're reporting on a player who won a great jackpot at Bally's Hotel & Casino. Near the end of March, Kenneth Snoots from Maryland was playing at Bally's Las Vegas on the famous Strip. He decided to play Mississippi Stud, a table game where he would come to win a small fortune. He did this by forming a Royal Flush, which then awarded the table's huge progressive jackpot. The jackpot was worth over one million dollars at the time! Caesars Entertainment offers several networked progressive jackpots that can be won at over 275 tables, in 12 casinos. Last summer the Caesars Entertainment Group, which also runs Bally's Las Vegas, introduced several networked progressive jackpots. 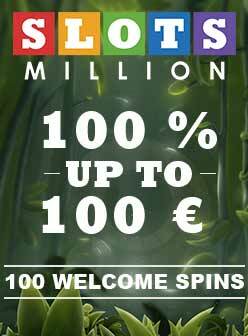 These jackpots can be won at over 275 tables across the 12 casinos belonging to the group. This makes it the largest network of progressive jackpots in the US. Kenneth Snoots is already the 6th player to become a millionaire on one of these jackpots. If you also want to try your luck at one of these traditional table games, there is no need to travel to the US since you can also find many table games in the online casinos PlayFrank or Dunder Casino.